BETHESDA, Md. Its unclear whether opioids work well at treating chronic noncancer-related pain long term, according to pain experts at an FDA public meeting. TUESDAY, June 12 (HealthDay News) Just a few hours of meditation training may change your brain for the better, a small, new study suggests. EverydayMindfulness.ca is offering an eight-week course in Vancouver this summer to help prevent depression relapse. The course, Mindfulness-Based Cognitive Therapy (MBCT) to Prevent Depression Relapse, started June 12 and runs until July 31 at the Pacific Mountain Centre. 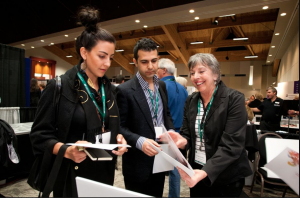 Pain lab researchers Maryam Mobini and Mark Nazemi attended the annual conference of the Canadian Pain Society, May 24 to 26.